Today, the Gothenburg-based doom-psych-sludge-stoner-boogie-metal known as Graveyard releases Lights Out, their third studio album. The 9-song collection finds the quartet delivering their finest batch of songs yet, with a newer focus on vocalist/guitarist Joakim Nilsson's instantly memorable melodies. With Lights Out in stores, and a U.S. tour coming in early 2013, Nilsson reached out to Noisecreep with a list of 5 favorite saddest feel good songs. Yes, it's a strange theme to go with, but it's so perfect for our site! "I like all these 5 songs pretty much for the same reason. First, the vocals on 'em are amazing, and I'm also very fond of the way that they are arranged. They start off pretty soft and slow but build up to a crescendo and back again. We use this kind of arrangement with Graveyard and these kind of songs are just a favourite of mine. The exeption here is Fleetwood Mac's 'Dragon Fly.' What I really like about that one are the vocal harmonies. Sad and beautiful makes me feel good." 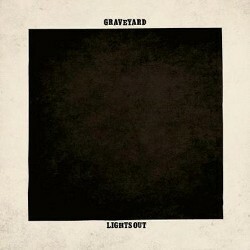 Graveyard's Lights Out is out now via Nuclear Blast and available on iTunes and Amazon.